In collaboration with Big Hope 2, Articulating Women contributed to a panel discussion on “Women and Leadership”. Both the Principal Investigator, Professor Cindy Hamilton (Liverpool Hope University) and Co-Investigator, Associate Professor Abhaya Gurumurthy (Christ University, Bangaluru) joined Lesley Regan (30th President, Royal College of Obstetricians and Gynecologists), and Angela Samata (Chair, Survivors of the Bereaved by Suicide) on the panel. This was a well-attended panel with a Q&A session that prompted a wide-ranging discussion. Articulating Women contributed a learning track on “Storytelling, Identity, and Community” to Big Hope 2. Stories are part of our heritage. They tell us who we are; suggest where we have come from; and what traditions, expectations, values, and beliefs should shape our relationship to our community and the wider world. The importance storytelling cannot be overestimated. This learning track examined stories—and generated stories, promoting a deeper mutual understanding of multiple worldviews in the process. During a series of workshops spread over four days during the conference, nine students from India, the Philippines, the United States, and England worked together to produce an anthology of words and pictures expressive of their understanding of identity. 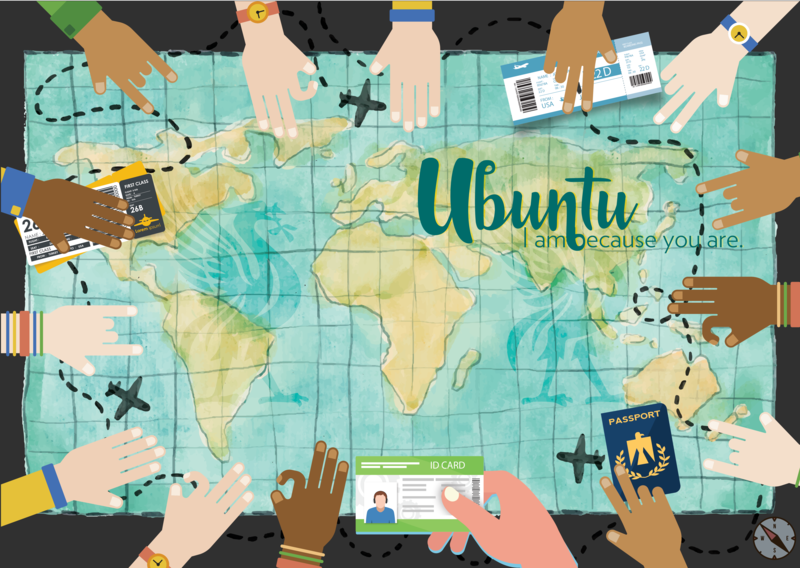 The result was Ubuntu: I am because you are.